Who: Chartered architect Amiina Bakunowicz. What: An overseas residential project. Result: In order to increase communication and transparency with the client, Amiina created a Stickyworld room that was regularly updated with photos and plans that allowed for easy, fast, and affordable dialogue throughout the building process. "When we needed to complete an overseas project without revisiting site every week, Stickyworld offered a more affordable way to communicate clearly with the builders." UK based Chartered Architect Amiina Bakunowicz was working on an overseas residential project, and needed a way to improve site communications with the local site agent about a range of design issues as the project deadline approached. The usual option of visiting site every week was not practical or affordable, so a process was set up where the local site agent would send a good set of site photos to review and discuss. Whilst email and cloud file sharing was the go to solution, and some online conferencing used for weekly meetings, these methods didn't give sufficient opportunity to discuss the site photos together. What was needed was a way to discuss photographs in more detail, highlight any specific issues or problems and secure agreement on the list of actions. In addition Amiina needed a way for a third party translation from English to Italian of her detailed comments and visa versa, enabling designer and builder to understand each other very clearly. With a Stickyworld portal for her practice, Amiina was able to quickly set up a secure private room for the project, and invited the site agent to upload site photos to the room for review. The architect could then frame detailed views and leave sticky notes to indicate details that needed completion or correction. An independant translator was able to accurately translate the meaning of any comments or instructions in the conversation thread, literally enabling a clearer conversation with the builder who could respond or action instructions. “The ability to discuss specific details in Stickyworld was brilliant for making our intentions be better understood by the team on site. In addition the collaborative permissions allowed us to invite our interpretor into the room to ensure our instructions to the local builders could be easily understood. The builders equally found it easy to comment and ask us questions, and email alerts were really handy to keep us all in the loop." 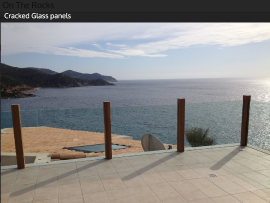 Stickyworld helped establish clearer conversations for the Villa on the Rocks project, saving Amiina's practice time and money, and improving the design outcome on site. 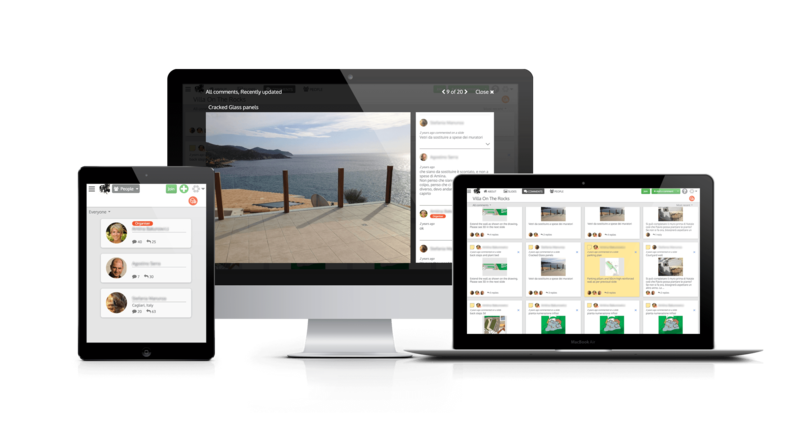 There are plenty of similar ways for architects to leverage Stickyworld's contextual cloud communications tools and create clearer conversations, involving clients, colleagues, suppliers and site workers. If you work for an architectural firm or other design firm, and you are looking for better ways to engage others in discussions about your designs, why not try a free trial of Stickyworld? If you are unsure about starting a trial, we also offer free online webinar demonstrations where we can show you how easy and fast it is to set up conversations in Stickyworld.